ProTrainings offer special packages for Montessori schools in Paediatric First Aid and packages including our video online training. If you are a school and would like further information, please contact us. 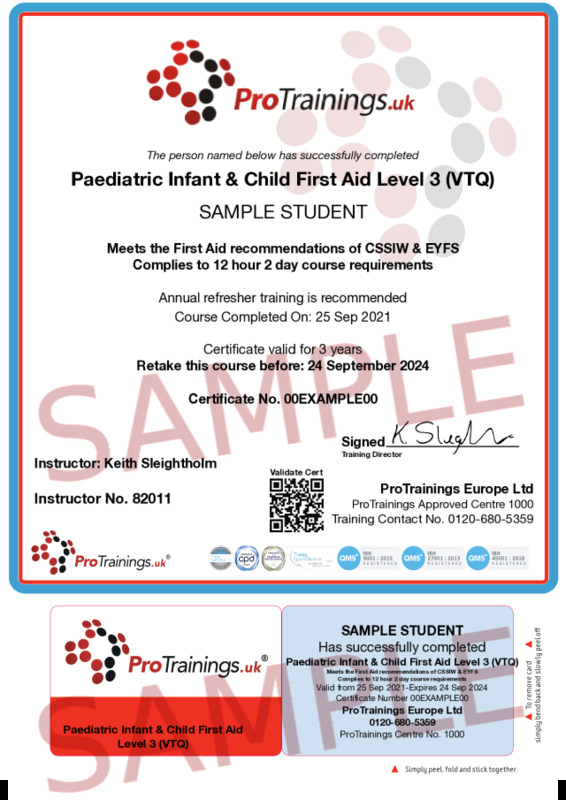 Our Paediatric courses meet the latest 2019 learning outcomes laid down by the Awarding Organisations and our first aid courses fully meet the UK and European Resuscitation Council Guidelines 2015 as per the HSE requirements. ProTrainings Vocational Training Qualifications (VTQ) are fully recognised by the HSE as Trade Body Qualifications.